Effective counselling is based on a strong working relationship between counsellor and client. Building and maintaining this therapeutic alliance, demands both skill and an ability to negotiate challenges which arise during the counselling process. Key Issues for Counselling in Action prepares new practitioners for face-to-face work with clients by looking at what is required at each stage of the process and examining issues which practitioners most frequently need to deal with along the way. The topics covered are relevant to all counsellors, regardless of theoretical orientation. Key Issues for Counselling in Action is a bestselling text which has been used to train many thousands of counsellors as well as supporting their continuing professional development. 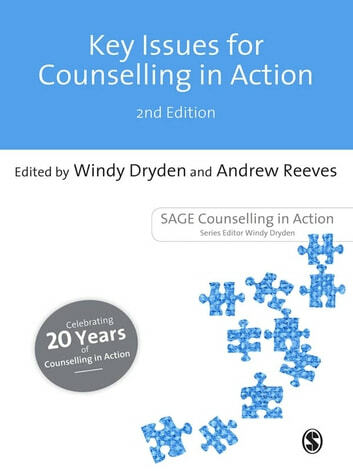 This second edition has been completely re-written and includes new material on the use of touch, self-care, culture and counselling evaluation. Windy Dryden is Professor of Psychotherapeutic Studies, Professional and Community Education (PACE) at Goldsmiths College, University of London. Andrew Reeves is a University Counsellor at the University of Liverpool Counselling Service and Editor of the journal, Counselling & Psychotherapy Research.